The Lehi City Planning Commission meeting on Thursday, March 28, extended to well over four hours as commission members heard from applicants as well as the public, and debated the 11 agenda items. Alpine Homes, represented by Steve Jackson, requested conditional use approval for an eight-foot fence in the Dapple Gray Trails development at 677 South Dapple Drive. The fence will separate the housing development from Keith Jonsson’s mink farm near the Sports Complex. During the public hearing, Johnson explained his position to the Planning Commission. “I don’t want to have the same problems the Dixon mink farm has now. I can’t have any light protruding over on my ranch and the only way to do that is to build a fence up high enough – an eight-foot fence is not high enough to block the light,” said Jonsson, further explaining that homes backing to the mink farm need tinted windows and outdoor lights pointed down at the ground. Kim Struthers, Lehi City Community Development Director, quoted the original agreement that came before the Planning Commission in 2016 when the preliminary plat was approved. The motion to approve the plat included language about the light requirements on the neighboring mink farm, but nothing about the height of the fence. “We’ve talked to the Jonnsons to address lighting and we want to make reasonable accommodations, but we also want to be removed from potential litigation obligations,” said Steve Jackson when Planning Commission Member Matt Hemmert asked what was keeping Alpine Homes from signing an agreement with the Jonssons regarding the fence. “From our discussions with the Jonssons, it’s a four-foot foundation and an eight-foot fence or nothing. Quite frankly, we’re not going to spend $45,000 for something we can do for a lower cost to deter buyers from looking at this huge wall outside their home,” continued Jackson. “We could have required fencing, but we didn’t. Even if we had, it’s not our job as a city to monitor the fencing for the lifetime of the mink farm,” said Kim Struthers. “At the top of this item it says, ‘Lehi values its rich agricultural heritage.’ It seems to me that we don’t do a very good job of valuing and protecting that agriculture. We have a lot of issues that come before us dealing with mink farms and if we can solve them beforehand, we should. We should require developers to value our agricultural heritage if we do. Just because there is a cheaper and easier way to do something doesn’t mean it’s the right thing. We should do better than the bare minimum,” said Abram Nielsen, Planning Commission Member. “There are laws associated with mink farms, but it is not our responsibility to enforce those laws. We can’t practically police the lighting and window tinting on homes backing up to the farm. 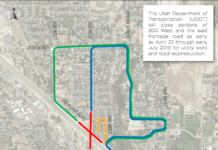 If we can’t follow up on it, it’s not reasonable to make it a condition,” said Ross Dinsdale, Lehi City engineer. Alpine Homes request for conditional use approval for an eight-foot fence got a positive recommendation from the Planning Commission with a split vote, four in favor and two dissenting. Parker Brown presented a revised concept plan for the Porter’s Place property on West Main Street–a three-story instead of a four-story building. 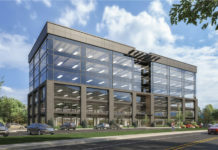 Although the building height is now in compliance for the Historic Commerce Zone, there were still several notes from the DRC about changes needed to keep the building looking more “historic.” Mike West, from Lehi City staff, also mentioned that Parker Brown would be leasing parking stalls from the City at the Legacy Center to have adequate parking for the new building. “I have a problem with Parker Brown renting parking stalls in the Legacy Center parking lot. The building should be set back from the street more so that we can widen Main Street in the future. Let’s not create more of a bottleneck than it is already,” said Gary Cooper, a resident living near the proposed building. The revised Parker Brown concept plan for the Porter’s Place property received a positive recommendation from the Planning Commission, with Brent Everett the only member to vote no. 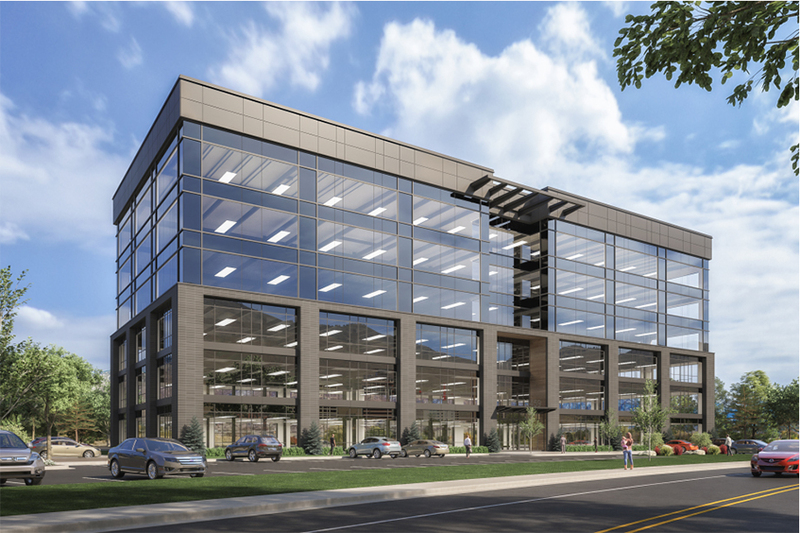 Clyde Properties, represented by Jared Morgan, presented a concept plan for a Transit Oriented Development (TOD) at 3000 West Traverse Mountain Blvd in an area that will possibly have a TRAX station in the future. The plan includes 404 housing units as well as retail establishments. “It seems like we’re missing what a TOD is designed to be here. There is only a small section of retail across a busy road,” said Planning Commission Member Jared Petersen. “This is no different from a typical layout. It’s an apartment building surrounded by parking. It doesn’t meet TOD standards,” added Abram Nielsen. “Think about the future residents of this TOD – how is this livable for them? Is there a place for gathering and community? The Murdock Trail is your big opportunity here. Put it in the middle instead of on the edge. There’s an opportunity to do unique stuff instead of trying to shoehorn in a traditional Utah County development. It needs to better thought-out,” said Abram Nielsen. When Planning Commission members agreed that the Clyde Properties concept did not have the density required for a true TOD, a member of the Lehi City staff informed them that the critical infrastructure available in the area could only accommodate the number of units in the concept plan. “This is not even close to what we want in a TOD,” said Jared Petersen. Planning Commission members debated the agenda item for close to an hour before finally voting to give it a positive recommendation moving on to City Council with two dissenting votes. Tatiana Larsen’s request for conditional use approval of the Arcadian Ranch Event Center on west Main Street next to Vets Ball Park was unanimously recommended by the Planning Commission with several residents adding their approval of the plan to the public record. 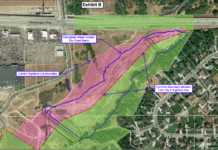 Trane Engineering’s request for approval of the Thanksgiving Station concept plan, a 37.95-acre development at 1900 West Ashton Blvd, brought out concerned residents. “This parking structure backs on to a single-family neighborhood. We don’t like the idea of a parking garage looming over our backyards. It takes away the views, but more importantly the privacy and security of our neighborhood. We feel like the traffic on Ashton Boulevard should be addressed before this goes through. This is Resort Area Zoning and now we’re getting another office building with nothing ‘resort’ about it,” said Lehi resident Nate Caden. “This is the definition of insanity to add to the traffic issues at Thanksgiving Point. In my mind this is the place for a TOD, not on the mountain in the middle of nowhere,” said Abram Nielsen. “There’s a lot of distrust in the neighborhood. They’re told, ‘you can’t change the rules when a development is underway, you need to come out when the rules are being made.’ They did that, they came out when the rule was made and now the development is here anyway,” said Bill Hereth, Planning Commission Member. “I’m sure when the Area Plan comes up for amendment at Thanksgiving Point the residents won’t trust the process then either,” added Hereth. “I agree. I’m open to suggestions and comments. We just want to start the process so we can work on utilities and storm drains,” said Tony Trane, representing Trane Engineering. The request for approval of the Thanksgiving Station was tabled by the Planning Commission.